The colour or color if you prefer. I know you’re looking at it right now and thinking what the. Oh, don’t worry, it’s all natural, as are all good things from Campbeltown. None of that magical Diageo chemical formula or what Bowmore literally pour into their releases and then have the audacity to call it Black Rock or Darkest. This Longrow is the real deal. Don’t fall for the tricks of the industry. The clear glass bottles that allow you to see a rich seam of colour from a distance. The illusion manifesting itself that this translates into an experience and a railroad of flavour. Yes, we’re back onto the proper spelling. Sherry casks aren’t what they once were. The temptation that we can talk about the changes in the early 1980s and the less than stellar practices now adopted, but we won’t. Even the mighty Springbank, has suffered in recent times with some flawed sherry casks. An expensive and rare commodity, sherry always carries the trapdoor of sulphur. A feature that some of us are more prone to noticing than others. I accept that we have to deal with things as they now stand. Casks that are sherry seasoned and rinsed, are never going to give you the full spectrum of flavour that the prior generation of butts once did. The practice of using sulphur candles has been consigned to time thankfully, but sulphur influenced whiskies persist. In reality, sulphur can be formed from several sources beyond a mere cask, which might come as news if you subscribe to an annual whisky doctrine. Bad spirit runs that are extremely rapid, set at high temperatures with less copper contact can play a role. Even peat potentially can provide a sulphur aspect to proceedings, meaning smaller elements can mount up to produce a larger impact. Casks are still a possibility and in some cases could be where the blame lies, but not always on an exclusive basis. A cask, in theory, can harbour around 200 flavour compounds. The type of cask, its age, refill status and level of char are the variables along with maturation conditions. 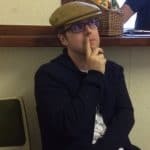 During 2018, I became more and more disenchanted with the majority of sherry releases I was experiencing. Many of these were just finishes rather than full maturation. Others were also of a smaller size thereby turbocharging the contents. The worst exponent being the SMWS 136.1 Effervescence and enlightenment that after 3 years was devoid of non-cask character. Obliterated by a small sherry cask, leaving you with a sense of whether you’d be better exploring a Bodega was my conundrum. We’ve touched upon the history of the new generation of Longrow distillate in our Red 13 year old Malbec review. What we haven’t done is talk about the original Longrow distillery that was situated across from Springbank and where the car park stands today. A surviving building, a warehouse, is now utilised for other purposes by Springbank. The distillery is fondly remembered hence its resurrection in part by Springbank. Founded in 1824, it was spread out in a traditional courtyard style. Often associated with the legacy of John Ross who owned a couple of distilleries in the whisky capital. Despite mounting financial pressures and outdated production equipment, he kept inefficient distilleries in operation and after his passing, his successors were less than successful. Alfred Barnard’s historical visit includes a meeting with John Ross, who shortly died prior to publication. Longrow closed for good in 1896 due to a combination of these factors and the restricted site, which limited access and expansion. All this talk of Longrow and sherry must mean we’re finally ready for the whisky, wouldn’t you say? Distilled in 2002, before being bottled in autumn 2018 at 15 years of age. This was fully matured in a sherry cask, resulting in 276 bottles in 51.4%, and retailing for around £85. On the nose: Immediate impression is one of harmony and balance. Between the forceful peat of Longrow and a vibrant sherry cask. Ginger, honey and dark chocolate with an autumnal note towards that end that reminds you of the peat within. Cardamon, chocolate digestives and spiced marzipan. More toffee and treacle, honeycomb and sticky toffee pudding. Dates, mace, leathery with beeswax, orange peel and hazelnuts. With water more oils, walnuts and wholemeal bread. In the mouth: More leather and beeswax, worn leather. The harmony is evident once again. Rolled tobacco, autumnal forest debris and kindling. More chocolate towards the end. Cinnamon bark, beef stock. Adding water is less beneficial, ok some toffee and rolled coffee beans in the palm of your hand, but there’s less texture. Better without. I really like this release. 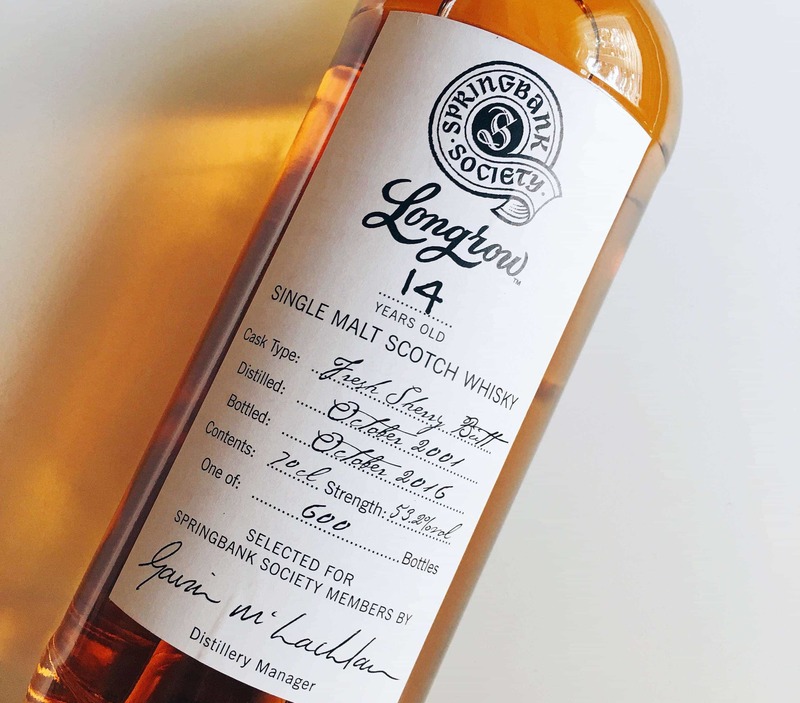 It is a step beyond the standard Longrow 18 that offers a more forceful peat and not much beneath on the basis of the 2017 edition I tried recently. In comparison, this has more body and substance. A good level of interplay between the cask and spirit. Plucked for bottling at just the most opportune moment. Oh, and no sulphur either. Bravo. My thanks to Ian for sharing this bottle. sad have missed out on this one, the phone range off the hook all morning in the Edinburgh shop. The Longrow spirit has stood up well to lots of punchy casks recently. Already put my bottle out on the table to write a review at #malternatives. But I promised myself not to crack one single bottle open in January, poor me. Sorry btw, I write my reviews in german. I gues you are not much interested. Hi Josef, regardless of the language, I hope you enjoy this whisky when February arrives.